Home / FAQs / Do naturopathic doctors prescribe medication? Licensed naturopathic doctors (NDs) are trained as primary care providers to diagnose, prevent, and treat acute and chronic illness. NDs complete rigorous education in pharmaceutical drugs during their four-year, science-based medical education and they may prescribe medications when indicated as allowed by state regulations. However, naturopathic doctors typically don’t prescribe drugs at the first sign of symptoms or trouble. Instead, NDs choose to work with natural, less invasive therapies without strong side effect profiles before reaching for the prescription pad. They support and enhance a patient’s innate capacity for healing with evidence-based therapies such as lifestyle modification, clinical nutrition, botanical medicine, and behavioral medicine, to name a few. Pharmacology is taught through a series of courses that build upon each other through an ND’s medical education. This training is reinforced through a minimum of 1200 hours of hands-on, clinical training. 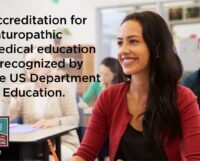 Naturopathic medical programs are accredited and are recognized by the United States Department of Education. Pharmacology is an essential part of the Naturopathic Physicians Licensing Examination (NPLEX), the passage of which is required before a doctor of naturopathic medicine can be licensed or regulated by a state/province. As part of the pharmacology curriculum, naturopathic doctors learn both medical and clinical pharmacology. They study primary therapeutic uses, mechanisms of action, potential adverse effects, and drug/drug interactions of medicines commonly encountered, including prescription drugs, controlled substances, and over the counter (OTC) medications. Additionally, they learn how to prescribe and manage pharmaceuticals for the most common presenting concerns in primary care medicine. Botanical or herb/drug and supplement/drug interactions. Seventy-five percent of Americans regularly take herbs and dietary supplements, and they don’t always inform their primary care doctor. Naturopathic doctors complete approximately 130 classroom hours of botanical medicine education. This encompasses the science and practice of using medicinal plants and extracts to improve overall health, support wellness, and treat acute and chronic disease. Extensive knowledge of herbs and supplements allows NDs to better help guide patients and prevent harmful interactions. Identification of nutrient depletions caused by long-term use of drugs. Some of the most commonly prescribed or recommended drugs can interfere with or cause deficiencies of vital nutrients with ongoing use. These include medicines prescribed for acid reflux, heartburn, cholesterol, and more. 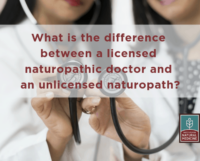 Naturopathic doctors are expert at identifying signs of nutrient depletion and apply their extensive knowledge of clinical nutrition and botanical medicine to help reverse these harmful side effects. NDs are also trained to identify when and whether a patient is overmedicated, and when prescriptions, OTC medicines, and supplements can be tapered off or discontinued. Naturopathic doctors prescribe drugs based on available evidence, clinical experience, patient preference, and the Therapeutic Order. 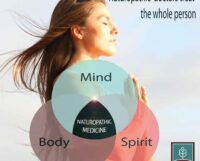 As a principle, naturopathic doctors support and enhance the body’s inherent ability to heal itself. They utilize a deep toolbox of natural therapies to help get a patient healthy enough to heal disease without strong interventions. Yet when a careful assessment of lifestyle, social/emotional factors, physical exam, and/or targeted laboratory testing reveals that the patient is not able to heal with natural therapies, NDs will refer or prescribe appropriate medicine. NDs match the patient’s level of health and pathology with the necessary level of intervention. The Therapeutic Order is the framework NDs use to evaluate the patient’s obstacles to healing and to choose therapeutic approaches in the most logical, least invasive ways first. If NDs do prescribe medication, they anticipate and address potential side effects of that medication with natural therapies. For example, if a patient requires antibiotics, which are known to wipe out needed, healthy bacteria in the microbiome in addition to harmful bacteria, NDs may also prescribe probiotic foods or supplements to help keep the GI system in healthy balance. A hypertensive patient with a comprehensive physical exam showing multiple signs of ongoing vascular damage including swollen ankles, skin discoloration, hair loss, and multiple blood pressure readings of 200 over 120. A detailed intake reveals that the patient’s diet consists largely of fast food and coffee. In this case, the patient requires a high level of intervention to prevent further harm, and the ND is likely to write a prescription for an anti-hypertensive drug, a diuretic, and refer the patient to a cardiologist for further testing. This is in addition to recommending significant lifestyle changes and other natural medicine approaches. A patient is traveling and has left his “rescue inhaler” for asthma at home. He encounters an irritant (e.g. an excessive amount of smoke), and is wheezing and experiencing difficulty breathing. The ND would call in a prescription for an inhaler and work to restore the patient’s health with natural approaches when he returns to his hometown. Overall, naturopathic doctors believe that natural medicine and conventional medicine are not mutually exclusive. They recognize that there are times when both approaches can be utilized together for the patient’s benefit. A service for consumers from the American Association of Naturopathic Physicians (AANP) and the Institute for Natural Medicine (INM). INM and AANP would like to acknowledge Christie Fleetwood, ND, RPh, for her contributions to the content of this FAQ.